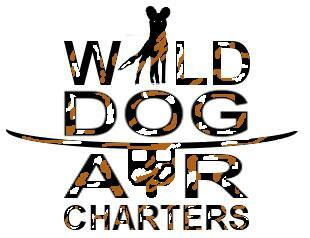 KaingU is pleased to announce their involvement in Wild Dog Air Charters Ltd. 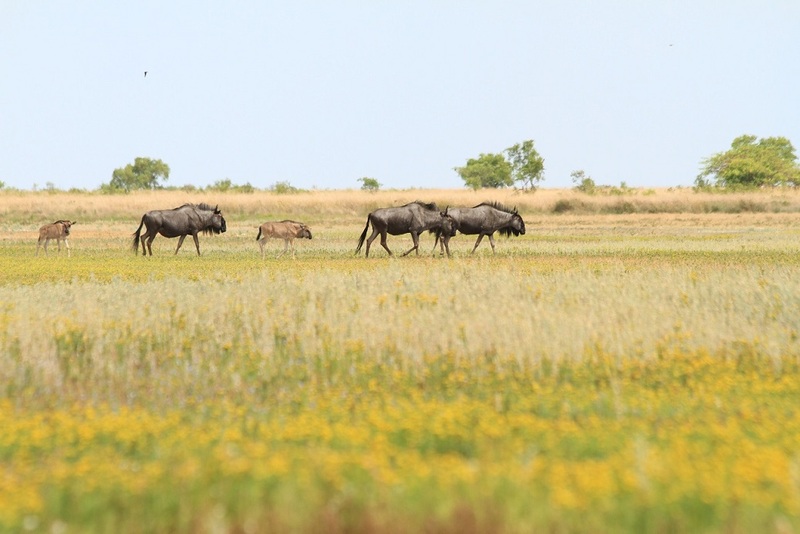 This newly formed company aims to further open the vast areas of the Kafue National Park and surrounds and to provide affordable and flexible flight connections to the Park. Wild Dog Air Charters is backed by KaingU, Kantunta, Mukambi and Konkamoya Lodges and will be flying a twin engine 9 seater (Britten Norman Islander, using as a base Chunga Airstrip in the central Kafue. Wild Dog Air Charters will commence flights on April 1st 2016. Flights will be available from both Lusaka and Livingstone as well as flights to other sectors of the Park. 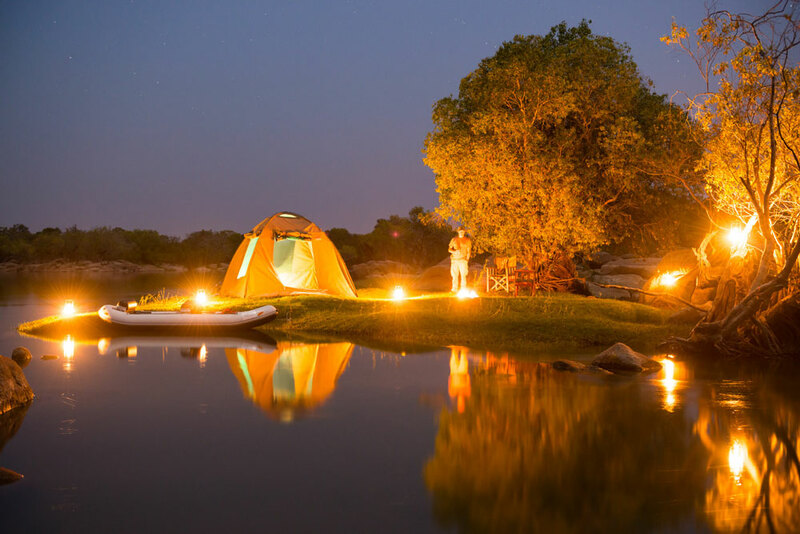 Private charters can be arranged to other popular destinations, such as Lower Zambezi, South Luangwa and Liuwa Plains. Hopefully this will be a further step in the development of the Kafue National Park, one of Africa’s and the word’s great wilderness areas. Be one of the first to go canoeing on the Kafue. KaingU guests can now enjoy an unforgettable experience on the Kafue River. Specialist guides will take you through truly magnificent areas that one can only reach by inflatable canoes. Canoe trails can be from an hour or three to a full day or even several days. The scenery is spectacular and varied and the pace of the trail can be individually set. Pods of hippos, crocodiles and elephant are regularly encountered as well as a wide variety of bird-life and antelope species. Trails can end at the camp or at a beautiful picnic spot – there are combinations for everyone. Add a sleep out to your stay. Great photographic opportunities offered in our seasonal hides on islands and special locations. Our senior guide JohnD was highly excited to discover a huge assembly of Meyer’s Parrots at a small waterhole. 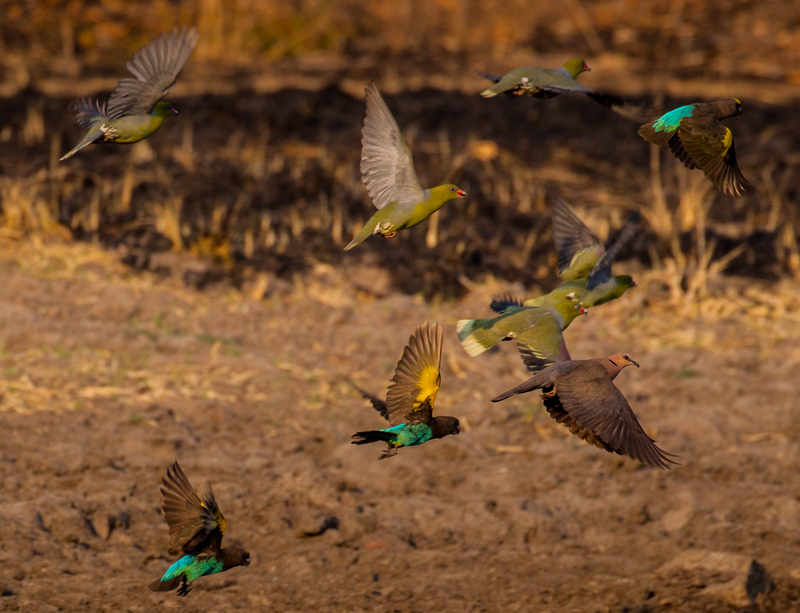 This amazing spectacle where by hundreds of Meyer’s Parrots (and a few Grey-headed parrots and Green Pigeons) meet to ingest minerals in the mud occurs for only about 30 minutes early morning in late July and August. Bird lovers can find hours of joy in our little island hide positioned opposite the banks of breeding White-fronted Bee-eaters. Being well hidden, it gives the opportunity to get a great shot of birds like the Goliath Heron that would otherwise shy of human presence. Hippos can be watched comfortably from our hide on Mantobo Island. It is also the starting point to explore the 3km long island and can be combined with a walk across the island and meeting a boat to cruise back to the lodge. KaingU can now take you on a mobile safari to the remote Liuwa Plains National Park. Liuwa – described as a photographers dream with sweeping vistas and towering clouds. Pools teaming with birdlife and literally thousands of wildebeest with the accompanying predators – wild dog, hyena, lion and even cheetah. It is a remote and special place that is rightly gaining recognition as a must see destination for true wilderness aficionados. Enjoy the Kafue National Park in its fresh November glory. Look up KaingU’s packages & specials. Under ‘raising awareness for the need for conservation and to reduce human and animal conflict“ the GRI outreach programme is visiting our community school monthly since September 2015. The Itumbi School has about 350 students and literally all of them want to be there when Jeni of GRI is holding another session. The ‘crowding in one classroom’ is indicative of the enthusiasm and passion for learning. School Water Project: Rewind to May 2013 and we were sitting on the deck at Kaingu talking with two guests from London. They were with us after an amazing time in Liuwa Plain and anyway, to cut a long story short, they expressed an interest to help us solve the problem of water at the community school. From using solar pumps here at the lodge we thought that given some investment in a pump, tanks and stands and a LOT of piping it would be quite possible to achieve. It has taken a while but with many visits, additional investment and expertise by the lodge, local guests & businesses the water project was finally completed in January 2015. The result is enough water to even irrigate small field gardens around the school. Our future thoughts are now turning to WC sanitation at the school rather than Ventilated Pit latrines, but for now the benefit to the children and the community (who no longer have to spend hours hand pumping and carrying water) is there! New management, new access, new guiding, new focus, new food, new staff, new developments, new game viewing vehicle, new boat. KaingU Safari Lodge shines in a new light. Since 2012/13 the new management team, Lynda, Rick, Julia & Gil, has taken the lodge and guest experience to another level. The new spinal road in the Kafue NP allows guests a pleasantly smooth trip, and after crossing the Kafue River by boat, you will arrive after just 4 hours drive from Lusaka or 50 minutes from Chunga airfield. Our new and experienced Lead Field Guide JohnD, together with Kaley, Israel, provide an excellent safari experience. Share the magic of KaingU with your kids! At KaingU your whole family is welcome and specialized activities guarantee that young adventurers have a great time. To ensure that every guest has a wonderful experience with us, we have reserved suitable dates during the season for families (and extended families) only. So there are no worries about disturbances and the day’s programmes can be custom-tailored to suit all interests. 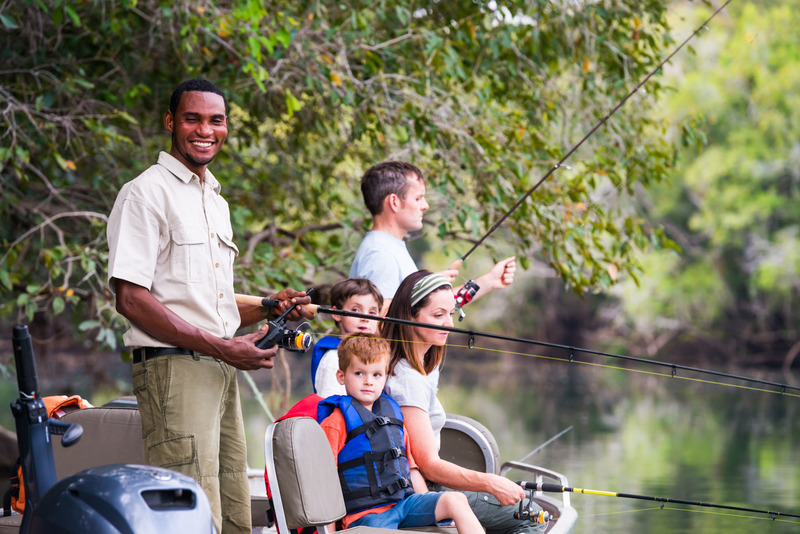 There are many activities that the whole family can take part in but also exclusive activities for children and youngsters to do while their parents can enjoy a siesta or go for a long game drive. Poaching is still one of the Kafue NP’s major challenges. Its enormous size, limited accessibility and little funding are the stumbling blocks. 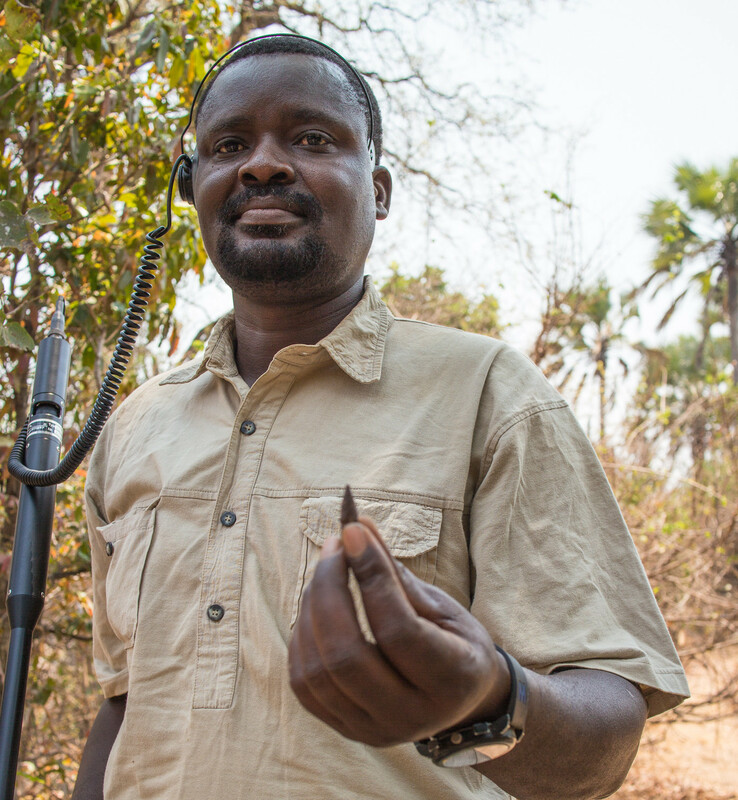 Kaingu is one of the few operators in the park that donate directly to Game Rangers International – a not-for-profit NGO that is working in partnership the the Zambia Wildlife Authority. By staying in Kaingu you are directly generating a bed levy contribution to GRI. This levy supports directly the work of two specialist anti poaching teams so guests can be assured of direct link between their stay and poaching reduction. 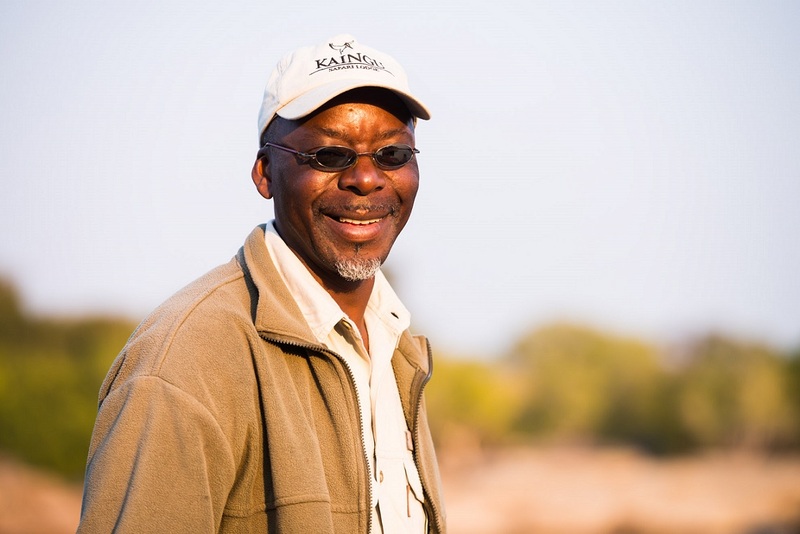 During 2013 GRI set up their camp at the center of the park and at the end of the year leftover funds of a former Kafue Lion Project could be secured. KaingU continues to contribute through their guest bed night levy as well as other donations. At the moment 2 specialist anti-poaching teams are supporting the Anti-poaching work of the Zambian Wildlife Authority. (One patrol team costs about USD 7000 per month).